NEWTON, MA — The state senator who represents Newton, Brookline and Wellesley was appointed Senate Majority Leader Wednesday. "I'm thrilled. I'm very, very excited. I'm really so happy to work with the senate president She's a great person and she has a great agenda," said Sen. Cindy Creem in a phone interview with Patch as the senator was getting ready to board a plane back to Boston. Sen. Cindy Creem fills the position after the previous majority leader one of the first women in the role, took over the president seat, becoming the first woman to fill that seat, too. A caucus confirmed the president's pick today, according to a representative at Creem's office. 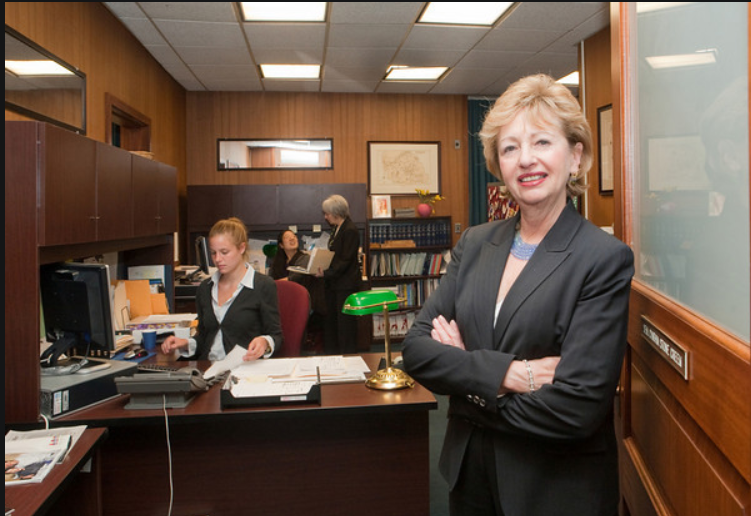 Majority Leader Harriette Chandler served as acting Massachusetts Senate President during an investigation into sexual misconduct allegations surrounding the husband of former President Sen. Stan Rosenberg. When he stepped aside and she became Senate President, her position as Majority Leader of the Senate was left vacant. This is the first time in recent memory the president's seat and the majority leader's seat in Massachusetts' state senate have both belonged to women. "That's so exciting. It's time," said Creem, referencing the #MeToo Movement. one other time a female senate president. Creem said she expected her new role, helping with Chandler's agenda would fit with her role as senator for Newton, Brookline and Wellesley, communities she said cared about the same kinds of issues the senate president and she would work on. Top issues that were on the docket, she said such as criminal justice committee were tackling, a housing bill and a bill on climate change. "Those three issues that I'm expecting the senate will be doing work on this term. And a lot more," she said. "Immigration. I hope we can do something on that. Particularly with what's going on in the Federal government." In addition she said she expected with a closer seat to the president she would have more of an opportunity to get concerns from her districts on a higher radar. "I'm getting tons of email from people worried about the state level when things are falling apart on the Federal level," she said. "I'm looking forward to getting back and getting busy. "